Cashew flour comes from the cashew nut. 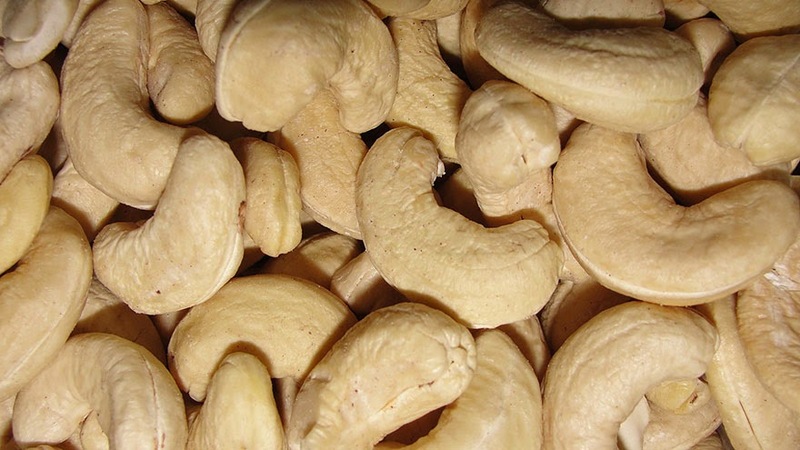 Cashews are known to have a lot of health benefits and come with key nutrients. Cashew flour is a great gluten-free flour substitute and has a sweet flavor to it. How To Make Your Own:Take raw cashews, place in high output blender, food processor, or coffee grinder and grind until fine. Keep a close eye on it because if you blend too long it will turn into cashew butter. You may have clumps that you can separate with your fingers. Please note Amazon affiliation disclosure HERE. Preheat your oven to 300°F/150°C on a convection setting. It bakes faster in a convection oven, but a regular oven setting will work as well. Line your loaf pan with parchment paper. Grind the cashews in a food processor or high-speed blender to create cashew flour. You may have a few small grains of nuts left, but try to get it as fine as possible without turning the flour into cashew butter. Blend the salt, baking soda and cashew flour together in bowl. Add the egg yolks, vinegar, yogurt, and apple juice to the flour mixture, and blend well. Beat the egg whites and salt until stiff peaks form. Fold egg whites into the dough batter. Pour the batter into the loaf pan and bake for about an hour or so. Smaller loaves will bake faster. The smaller loaves may take a bit less time, and the larger loaf may take a bit more time. To test if the bread is fully baked, insert a skewer, or something similar, into the center of the bread. It should come out clean. Cool, slice, and enjoy. Store at room temperature, covered, for a few days, or in the refrigerator for a week. Kendall says it can also be stored in the freezer for about 3 months. Note: Makes 1 large loaf, or two small loaves. I use a 9 x 4.5 inch glass loaf pan for one large loaf, and for two small loaves, I use two Magic Line pans, which are 3.5 x 7.5 inches. Also, you can double this recipe easily to make 2, 3, or even 4 loaves of bread, depending on the size of your loaf pans. If you make one large loaf, convection baking seems to bake the bread faster – otherwise adjust the time accordingly because it can take a large loaf another 10 minutes or so to finish baking.